Product prices and availability are accurate as of 2019-04-24 07:06:30 UTC and are subject to change. Any price and availability information displayed on http://www.amazon.com/ at the time of purchase will apply to the purchase of this product. Made with 1st layer of natural cowhide, 100% Genuine leather and exquisite workmanship. Normal use 2-3 years, still looks bright as new. 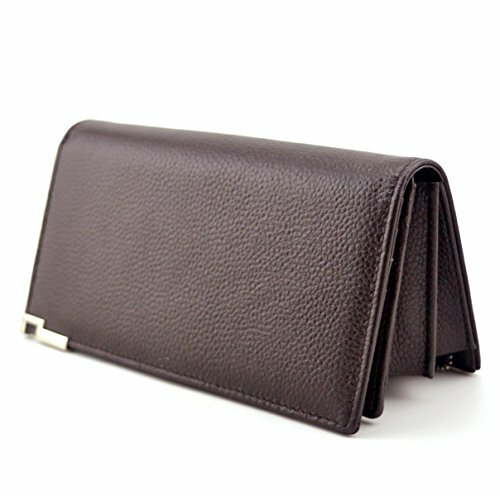 Elegant Looking and Practicality: It gives you convenience to pay your bill at the cashier. Fits comfortably in pants pocket or suit pocket, and You can simply hold it on hand, designed for the safety of your properties. 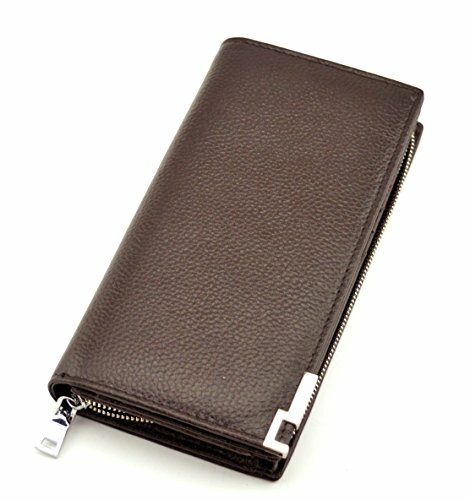 Multi Pockets - 12 card Slots, 2 main Money Pockets. And you may put your iphone and other essentials into the Middle zipper pocket. Farewell disorganization. 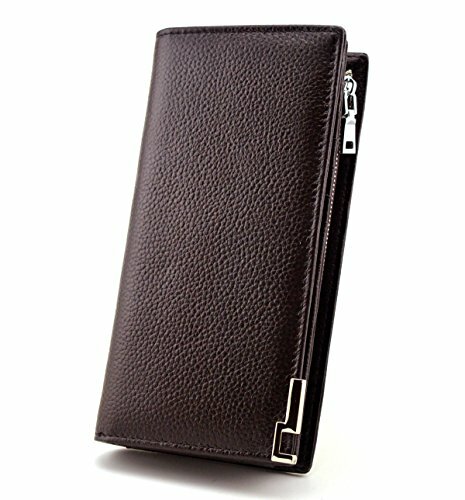 Perfect gift idea for loved: men's long Wallet is a perfect gift for your friends, father, brothers, boss. also for birthdays, Christmas, Anniversaries, father's day, valentine's day, wedding gifts and other special occasion. Easy to carry any time any where. Approximate Dimensions: 7.28(L) x 4.33" (W) x 1.18" (H) , Please accept 1"-1.5" error.